Welcome to FoodCycle Sheffield Firth Park, one of four FoodCycle projects in the city! We are a community organisation who love food, cooking and bringing communities together over a tasty, nutritious meal. We serve women from the local community, and provide opportunities for people to come together. FoodCycle Sheffield Firth Park is only made possible with the great volunteers giving their time, enthusiasm and energy. We have opportunities available for people to come along and cook, host guests and be involved in collecting the surplus food donations from local suppliers. You don’t need to have any previous cooking experience, although if you do that is just as welcome! We want as many local volunteers as possible and everyone is welcome to be a part of FoodCycle Sheffield Firth Park. Please email [email protected] if you need for more information. 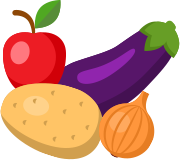 We are proud to support FoodCycle Firth Park by donating surplus fruit, vegetables and drystore goods for their cooking sessions. We are pleased to help a local project that provides healthy food and it is important to us that we are contributing to our local community in this way.